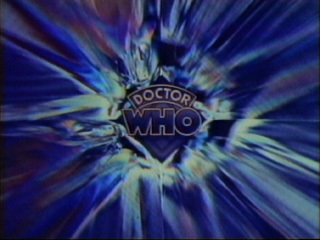 Part 1 Intro: Tonight, the Doctor uses his new Time-Space Visualizer, with which he can tune into scenes from any time in history, and finds that an arch-enemy is careening through time, seeking him. Stay with us now, if you can, for "The Chase." Part 1 "Next Week": Will the robot Doctor infiltrate and destroy? Only will tell, next Sunday night at 11, when "The Chase" through the cosmos continues. Part 2 Intro: Tonight, "The Chase" continues with a journey into terror and a titanic battle between the Mechanoids and the Daleks. You may conjecture on the end, but you will undoubtedly be mistaken, as "The Chase" hurtles to its conclusion. Part 2 "Next Week": Next week, for the first time, another member of the Doctor's race appears. Be with us next Sunday evening at 11 for... "The Time Meddler."